The CMS issued sweeping regulation Monday meant to ease Medicare regulations. The overall goal is to reduce administrative burden on providers and ease access to care for patients. Collectively, the CMS estimates the provisions will save providers $1.12 billion every year. 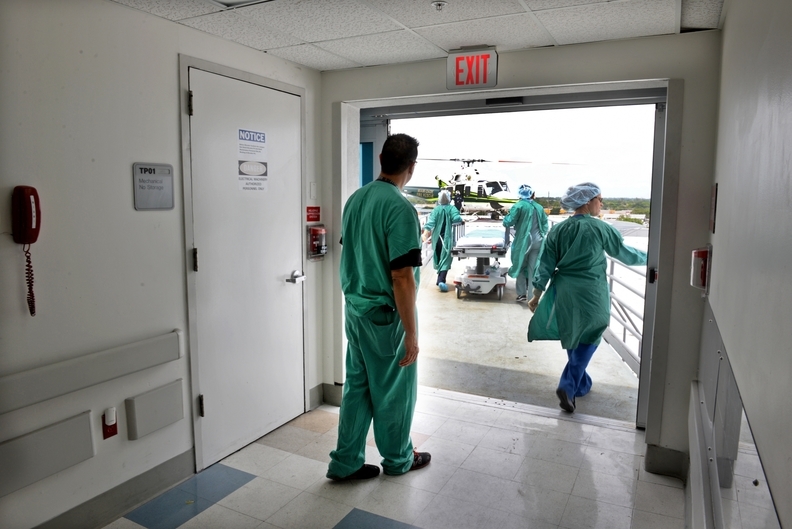 The CMS wants to prevent hospitals from rejecting patients being transferred from competitive ambulatory surgical centers. Currently, surgical centers must have a written transfer agreement with a hospital or ensure all physicians performing surgery have admitting privileges in a nearby hospital. The CMS proposes removing that requirement, citing complaints from the "largest ASC trade association." Also under the rule, the CMS wants to allow providers that belong to a health system to avoid their own quality reporting and have a universal quality assessment and performance improvement, or QAPI, program. A similar proposal for infection control programs is also in the rulemaking. More than half of all U.S. hospitals belong to multi-hospital health systems, and about 60% of all hospital admissions occur in system hospitals. "While a wide range of quality improvement mechanisms can be applied in individual hospitals, there has been a lack of actionable information that leaders of multi-hospital systems can leverage to improve quality across their systems," the agency said in the rule. The rule also eliminates duplicate reporting for transplant programs to submit data and other information to Medicare. That policy, the CMS said, has led to transplant programs avoiding performing transplants for certain patients, causing some organs to go unused. The CMS also wants to streamline access for X-ray services by replacing four different qualifications with a single, streamlined criterion that focuses on the skills and abilities of the technologist. The public has until Nov. 20 to comment on this rulemaking. Since announcing its Patients Over Paperwork initiative last year, the agency has taken action to address 55% of the 624 topics considered burdensome by the industry. Another 16% of the topics remain under consideration and 29% were either referred to another agency or did not require further action. The CMS projects these moves have saved providers nearly $5.2 billion and reduced 53 million in paperwork hours through 2021.